60% Off Packs of Best Selling Yarns. Limited time offer. 50% Off project kits. Limited time offer. 60% Off sale items. Limited time offer. Holiday Sale: $50 & UP GIFTS. Limited time offer. $99 and Up Gifts. No coupon code required. Click link to activate. Buy 2 Sari Silk Wrap Skirts and get 3 FREE. Must add 5 to your cart, no coupon code required. Darn Good Yarn of the month for $10. Limited time offer. Holiday Sale: $25 & UP GIFTS. Limited time offer. 25 Days of Free Patterns. No coupon code required. Click link to activate. Give the Gift of Choice With a Gift Card: Starting at $10. Free Coloring Book With Email Sign Up. Limited time offer. Free Pattern Headlands Crochet Scarf. Limited time offer. 50% Off Handmade Wooden Yarn Bowl. Limited time offer. Darn Good Yarn offers a huge collection of vintage silk saris, chiffon ribbon, sari silk aprons and many more. Darn Good Yarn provides a variety of high quality yarn products like makeup bags, jackets and more. 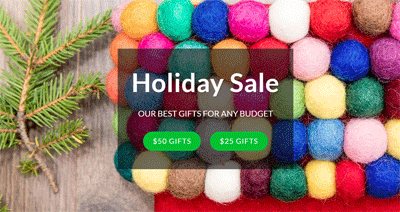 You can make a big difference in your bill by saving your hard-earned money while shopping high quality yarn products using the awesome Darn Good Yarn promo codes.